In 2018, Tiffany Kayo ’19 interned as a summer analyst in the Bank Resource Management division of Morgan Stanley’s Tokyo office. 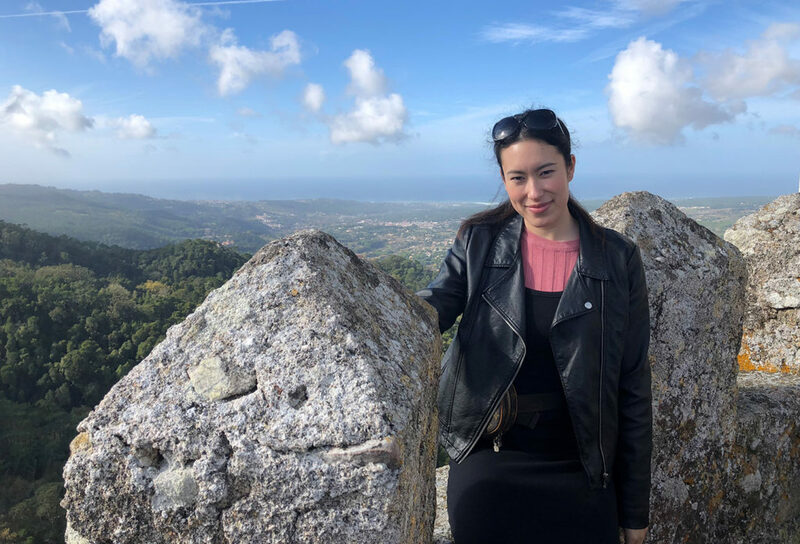 Above, she visits Sintra, Portugal. 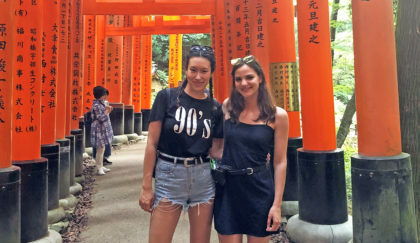 From MIT and Boston University, to Morgan Stanley’s Tokyo Office and the London School of Economics, Tiffany Kayo ’19 has packed in her share of experiences during her four years as an undergraduate at Clark University. But she’s also found great experiences on her home campus, where she’s been inspired and supported by dedicated professors. “The combination of professors, mentors, friends, and all the opportunities I’ve had at Clark have prepared me for what’s next,” says Kayo, a double-major in economics and computer science and minor in mathematics. What’s next for Kayo, after her graduation from Clark, is a position with Morgan Stanley’s Institutional Equities Division. She heads to Hong Kong for training in July; she eventually hopes to pursue an MBA. For the last 10 months, Kayo has hopscotched across the world to apply what she’s learned at Clark — and to gain additional experience and skills. She has studied at the London School of Economics since last fall, taking classes like Corporate Finance, Investments, and Financial Markets; Advanced Economic Analysis; and the Economic History of China. Outside of class, she’s joined a dance team, a boxing club, and on-campus professional organizations like Women in Business Society, LSE Business and Finance, and the Investment Society. On the weekends, she’s traveled around Europe. In 2018, she interned as a summer analyst in the Bank Resource Management division of Morgan Stanley’s Tokyo office. She already was familiar with Japan; her family lived in Osaka before moving to San Diego, California. Kayo’s first three years at Clark helped her lay the groundwork for her experiences in Tokyo and London. Her junior year, Kayo attended an MIT conference about the digital cryptocurrency Bitcoin. Tiffany Kayo ’19, left, and Christina Zymaris ’19 worked on computer science projects at Clark University. Zymaris visited Kayo in Japan, where they saw sights like Fushimi Inari Taisha, a shrine to the Shinto god Inari. After her sophomore year, Kayo conducted summer research at Boston University with John Magee, a Clark assistant professor of computer science who has partnered with BU on a project designed to increase computer accessibility for the visually impaired. Later, Kayo worked with Magee and Clark students Christina Zymaris ’19 and Bezawit Ayalew ’19 to begin building a user-friendly website and application, ClarkEats, aimed at promoting food sustainability on campus. The site would allow Clark community members to post and share excess food supplies. “Professor Magee has helped me gain hands-on experience in research and software engineering, and these experiences made me a competitive candidate when applying for internships,” Kayo says. She also credits her advisers — professors Junfu Zhang in economics and Li Han in computer science — for helping her pursue her goals, everything from studying abroad to obtaining research and internship opportunities. It’s not only in her majors that Kayo has found inspiring teachers. She took American Cities: Changing Spaces, Community Places with Asha Best, assistant professor of geography — and she was pleasantly surprised. Besides her academic work, Kayo danced with Hip Hop Collabo and the Dance Society, worked at the Information Technology Services desk in Goddard Library, joined the Clark Investments and Trading Society, and served as an officer for Clark’s Chapter of the Association for Computing Machinery. Kayo says she’s benefited from interacting with a wide variety of students at Clark.